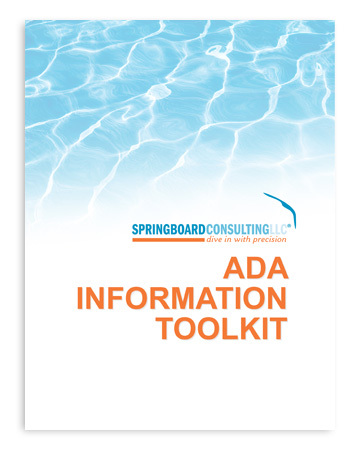 In celebration of the Anniversary of the Americans with Disabilities Act; this momentous occasion, and in response to your overwhelming requests, Springboard is pleased to offer a comprehensive ADA Information Toolkit for Employers. Should you have questions, please contact Shelley Kaplan, ADA Services Manager at shelley@consultspringboard.com or 973-813-7260 x.105. Or if would like to schedule Springboard for an on-site ADA Information session, please contact Ivette Lopez at ivette@consultspringboard.com or 973-813-7260 x102.